Industry insiders and experts are calling on the government to rewrite local tax rules to force major Internet companies to pay tax on profits they make from the Vietnamese market. The Vietnam Association of Seafood Exporters and Producers (VASEP)’s target of 524 million USD in tuna exports for the year has been completed early as the figure already hit 541 million USD as of November. More than 200 audits will be conducted in 2018, focusing on State budget use, according to a plan from the State Audit Office of Vietnam (SAV). CIMB Group Holdings Bhd is making a push into digital banking in Southeast Asia, starting with Vietnam, as Malaysia’s second-biggest bank by assets seeks to expand in the region without swelling costs. Việt Nam’s Decent Work Country Programme for the 2017-21 period has been launched in Hà Nội, focusing on employment, social protection and labour market governance. The Central Highlands have long been a strategic economic, political location in the history of Vietnam. 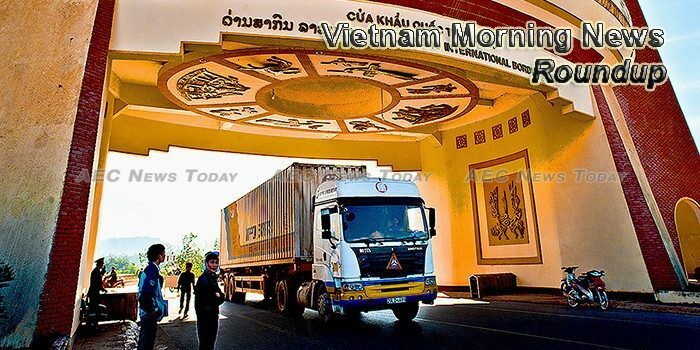 Vietnamese small-and medium-sized enterprises (SMEs) are focusing more and more on international trade via e-commerce. In the last 20 years, Bac Ninh province in the Northern Key Economic zone has grown from an agricultural community to a major industrial center with the second-highest per capita income and one of the highest economic growth rates in the country. FPT Digital Retail JSC is set to launch its initial public offering (IPO) on December 15 on the HCM Stock Exchange, the Vietnam News reported. It’s a late afternoon on a recent Saturday and a store in the Phu My Hung urban area in HCM City’s District 7 is filled with customers from South Korea, looking for new clothing and shoes. CFR International SPA transferred nearly 17.95 million shares in the Domesco Medical Import-Export JSC (DMC) to Abbott Laboratories (Chile) Holdco SpA, a subsidiary of Abbott Laboratories in the US, on December 4, according to Vietnam Securities Depository (VSD). The retail prices of RON 92 petrol and E5 bio-fuel remained unchanged at VND18,580 (81 US cents) and VND18,243 per litre, respectively, at 3pm on Tuesday after continuous increases in recent months. According to Masan’s website, the company produces 6,000 tonnes of tungsten a year from Nui Phao mine. Vietnamese apparel manufacturers need to embrace the opportunities to meet the growing global fast fashion trends and from which to make breakthroughs, according to experts in the field of textile and garment. World Dream, a member of the Genting Group-owned Dream Cruises company, docked at the southern port of Tan Cang Cai Mep in Ba Ria-Vung Tau Province on Tuesday, before commencing its first-ever commercial trip in Vietnam.